With the power of Painter Mobile 2.0, you can paint whenever and wherever inspiration strikes. Explore the updated interface for Material Design to get started, and streamline your workflow in one of three ways: photo paint, trace or start from scratch. Apply an array of layer blend modes, such as Multiply, Screen, Overlay, Soft Light or Darken, to achieve the exact look you want. Find the perfect painting tool within each brush pack, designed and organized for all types of artists to seamlessly blend and mix. 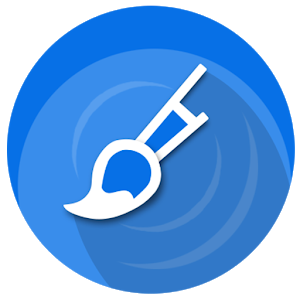 Output your paintings as traditional art, print them for a gallery, transform photos into paintings with the new photo paint mode, or even share using Samsung’s PEN.UP service. Get a faster way to paint on the go with Painter Mobile 2.0.